Moody's Investors Service Wednesday upgraded Tata Steel's corporate family rating, reflecting the sustained improvement in the company's credit profile. The corporate family ratings (CFRs) are opinions of a corporate group's ability to honour all of its financial obligations, according to Moody's. "Moody's Investors Service has upgraded Tata Steel's CFR to Ba2 from Ba3. The outlook has been changed to stable from positive," Moody's said in a statement. The CFR upgrade reflects the sustained improvement in the company's credit profile, stemming mainly from strong operating efficiencies and vertical integration, as well as stable demand and price conditions in its major market, Kaustubh Chaubal, a Moody's VP, said. Tata Steel's CFR is supported by its significant, diversified and growing operating base and its globally cost competitive steel operations in India, Moody's said. These factors, alongside favourable industry dynamics in key operating market in India have translated into the company's sustained track record of improving credit metrics, it said. 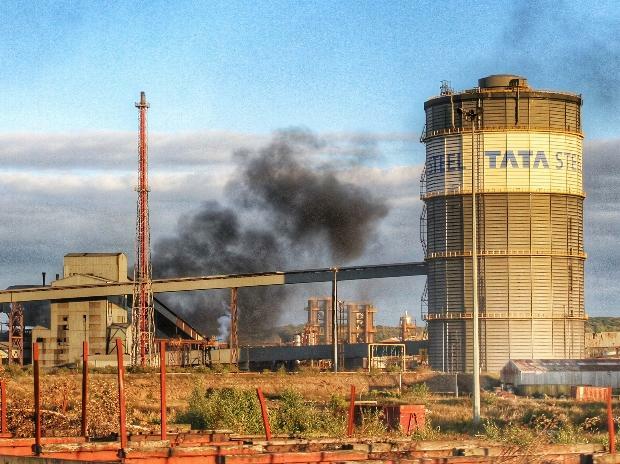 "Tata Steel's key market is still India, which accounts for 57 per cent of its global steel volumes sold, 54 per cent of consolidated revenues, and 85 per cent of consolidated EBITDA, a result of the strong operating environment and the company's backward integration into producing its key own raw materials of iron ore and coking coal," Moody's said. During April-December 2018-19, Tata Steel's Indian operations generated EBITDA/ a tonne of Rs 17,270, more than three times the profitability of its European operations, it added. Consequently, strong growth prospects in India augur well for Tata Steel. Also, the successful integration of Bhushan Steel in 2018 and the proposed acquisition of the steel business of Usha Martin have further cemented the steel major's business profile. The stable outlook reflects Moody's expectation that Tata Steel's strong operating performance will translate into a sustained improvement in credit metrics. "The stable outlook also incorporates Moody's expectation that Tata Steel will remain selective in its acquisitions, funding them with a prudent mix of debt and equity and allowing only a temporary spike in adjusted debt/EBITDA leverage," it said. Tata Steel is the world's 10th largest steel company by production capacity, achieving 25.1 million tonne of crude steel production in 2017. "At March 31, 2018, its nameplate capacity totalled 27.5 MTPA, of which, 12.7 MT was in India, 12.4 MT in Europe and 2.4 MT in Southeast Asia," Moody's said.